Same word. Different intents. Of course I don’t love pizza as much as I love my baby girl, but I use the same word. Maybe the english language does us a disservice here. In the Greek language, there are a few different words to describe love…eros, philia, storge and agape. So why is love one of our core values? I think first and foremost because we really feel a sacrificial love for our work. Kind of like the story of the yellow leaf, we also exist to sacrificially serve. Secondly, as believers we view our work as worship. To us, there is no spiritual | secular divide. It’s all spiritual. So if our work is worship, then our work is directly related and connected to our relationship with God. 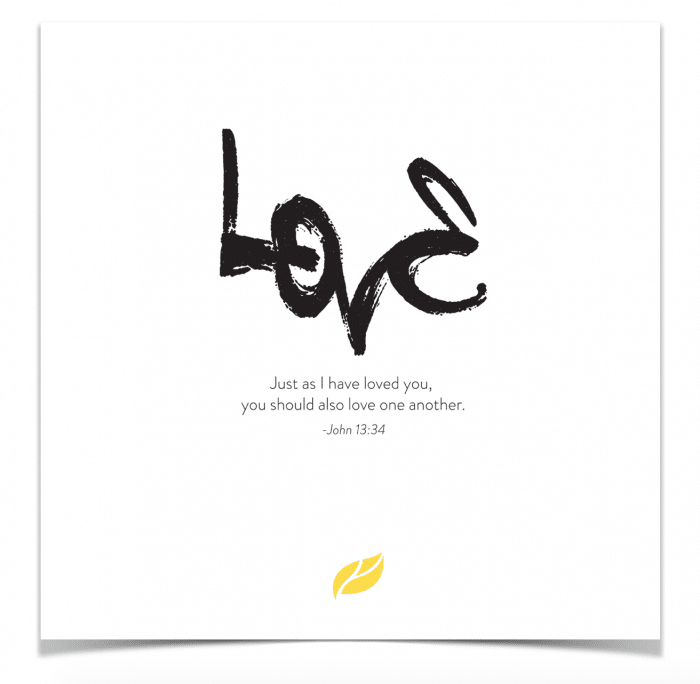 We strive to love God through our work at Yellow Leaf. If we only focus on pleasing our clients or pleasing the community, we will falsify our work, like we talked about in our recent Authenticity post. If we view our work as a labor of pure love — love of God — then we are freed up to do incredible work for His glory. To our clients, yes we love YOU and we love working FOR you. But we have made love a core value of our business, because it’s to that end — the love of God — that we work. We do our best to share ideas weekly that inspire the way we live and the way we do marketing. Copyright © 2019. Yellow Leaf Marketing. All Rights Reserved.